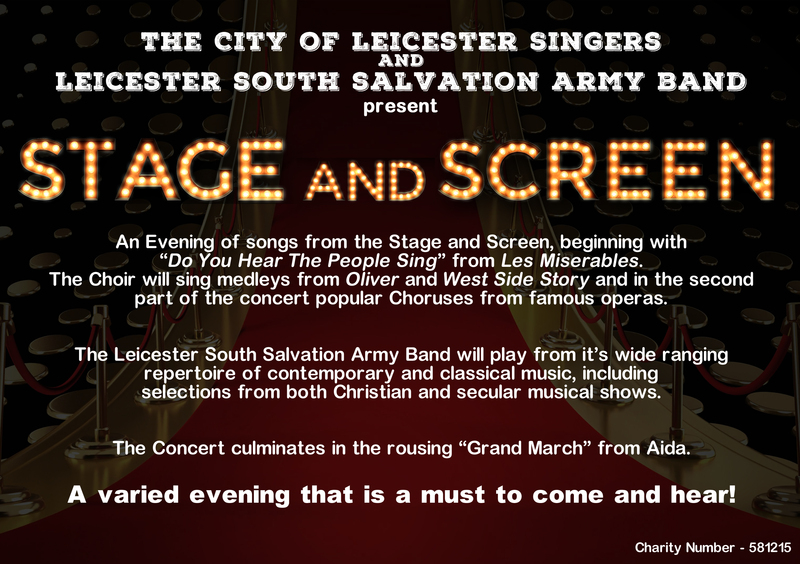 18th May 7:30pm, St. James the Greater, London Road, Leicester. 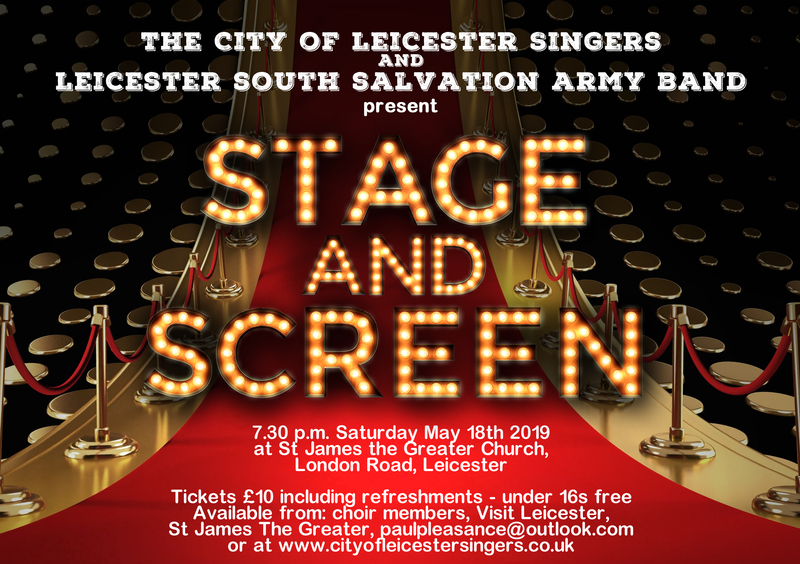 The City of Leicester Singers has decided to join forces with the Leicester South Salvation Army Band for their May 2019 concert following a very successful joint venture for last November’s Remembrance Sunday. The concert will be in two halves, each part comprising a joint presentation of the choir and band, namely “Do you hear the people sing?” from Les Miserables and “The Grand March” from Aida. Within each half both groups will perform independently. COLS will sing a medley from Oliver! and West Side Story in the first half and, in the second half COLS will sing a selection of Opera Choruses including: The Villagers Chorus, Anvil Chorus, the Chorus of the Hebrew Slaves and The Bell Chorus. There will be an interval during which time refreshments will be served. The concert will be conducted by both Richard Archer (COLS) and Andrew Piper (LSSAB) and accompanied by John Pye as well as the Band! Click here to see/print the flyer - front, back.